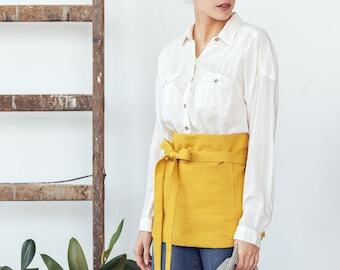 Natural linen waist apron with front pocket will be perfect kitchen apparel. 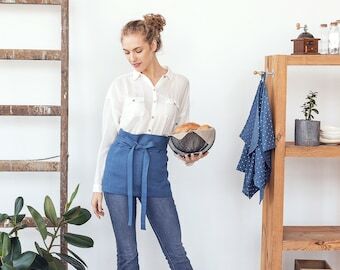 This wide-tie chef apron is a stylish and helpful option for both women and men. 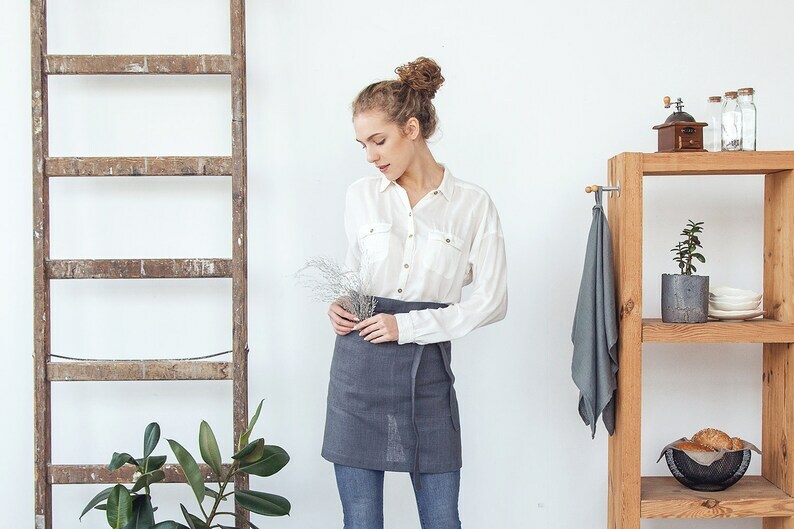 Bistro style cafe apron is ideal when you need short, versatile and comfortable coverage. 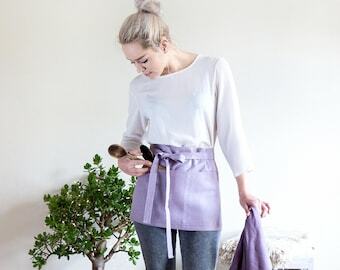 A casual and practical apron for your busy kitchen and a perfect gift idea for you friends. 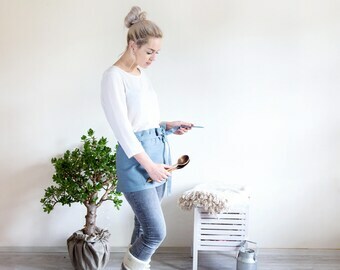 Linen apron is easy to wash and it dries quickly. 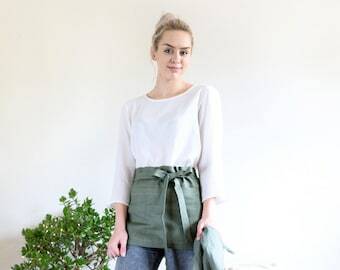 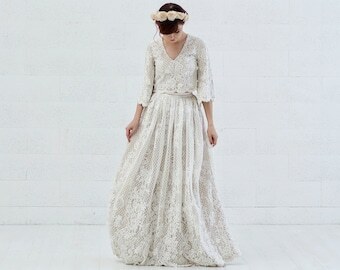 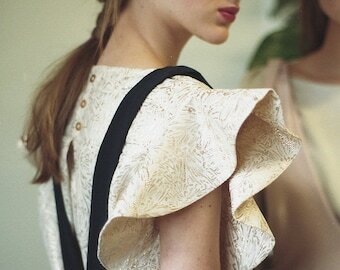 As we use only the best Baltic linen it is very long lasting and eco-friendly.